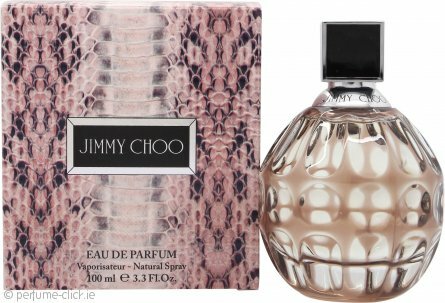 Jimmy Choo by Jimmy Choo is a fresh floral fragrance for women. Jimmy Choo’s attention to detail and craftsmanship has made him one of the most famous fashion designers in the world. In 2001 he created his perfume and the brand's signature scent; Jimmy Choo. This beautiful, sensual and empowering fragrance has become one of the best-selling perfumes of the last twenty years. The scent is a patchouli lover’s dream mingled with more unusual accords of mandarin orange, orchid, toffee and pear. It comes in an iconic textured glass bottle designed by Tamara Mellon and was followed by an Eau de Toilette version in 2012. Jimmy Choo was launched in 2011. Beautiful eau de parfum. Delivery was Quick and efficient services. Great price, have already recommended perfume-click.ie to friends for their future perfume & aftershave orders. This was a gift for my sister in the UK. I was extremely happy with everything from ordering and delivery can not fault the procedures one bit. I love this perfume and the price is unbeatable. I have bought so many bottles for myself and friends as gifts. They are always amazed at the size of this 100ml bottle.